Clint Bowyer started 14thand finished third. Avoided an accident on lap six that damaged several cars. Reported his car was very loose in the opening laps, then faded to 18th when he was trapped in the outside groove. Moved to third when he stayed on the track during a caution while much of the field pitted. He held his position during the one-lap green-flag run to the stage end. Started 23rd and finished 13th. Bowyer’s team made major handling adjustments during the stage break, and the No. 14 started at back of the field. Rain postponed action after lap 204 on Sunday, and racing resumed Monday afternoon. Loose-handling condition remained, and the crew made more chassis changes. Started ninth and finished eighth. Bowyer reported his car was tight for the first time. He had climbed to seventh by lap 325. Bowyer ran 96 laps on a set of tires as the race ran green, allowing cars that took tires to drop him to 10th. Restarted ninth after the final caution with 22 laps remaining. Moved to eighth in the final laps. Bowyer’s eighth-place finish was his fifth top-10 of 2018 and his 12thtop-10 in 25 career NASCAR Cup Series starts at Bristol. 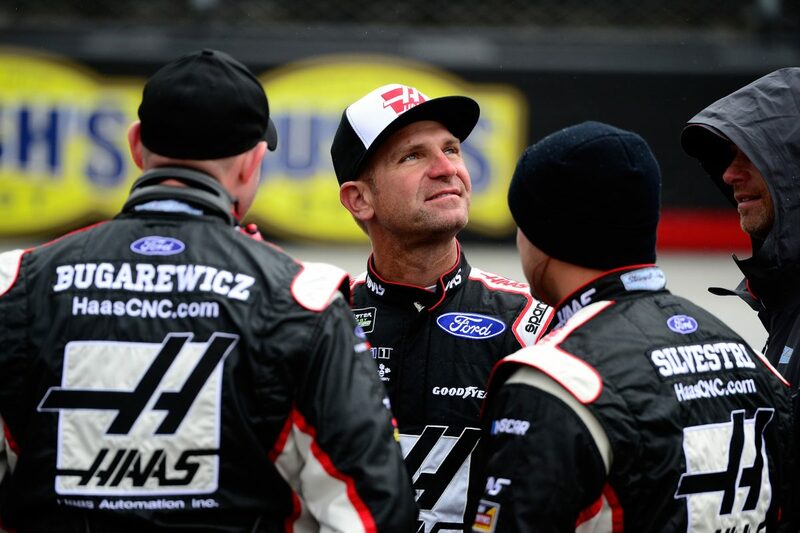 Bowyer finished third in Stage 1 to earn eight bonus points. Bowyerhas finished in the top-11 in six of the season’s eight races. Kyle Busch won the Food City 500 to score his 45thcareer Monster Energy NASCAR Cup Series victory. It was his second win of the season and his second straight, and it was his series-leading seventh win at Bristol. His margin of victory over second-place Kyle Larson was .628 of a second. There were 13 caution periods for a total of 114 laps. Only 12 of the 39 drivers in the Food City 500 finished on the lead lap. The first 204 laps of the Food City 500 were run on Sunday before rain halted the race and postponed it to Monday, where the final 296 laps were completed. The next event on the Monster Energy NASCAR Cup Series schedule is the Richmond 400 on April 21 at Richmond (Va.) Raceway. The race starts at 6:30 p.m. EDT with live coverage provided by FOX beginning with a prerace show at 6 p.m.